Deciding to visit Langkawi is pretty easy; deciding where to stay while you are there will probably take you a little longer. Lying just 18 Langkawi offers resorts and local style accommodation spread out across the island each area with its own benefits. 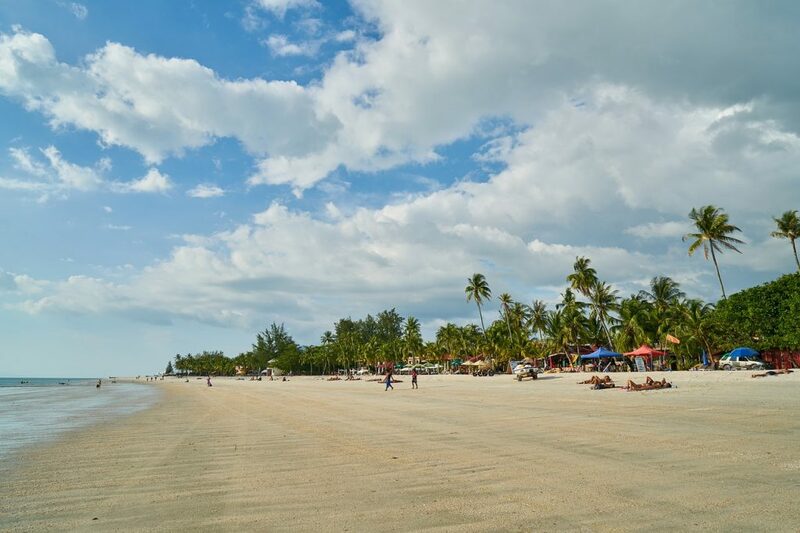 Unless you want something really secluded and remote most accommodation in Langkawi is centered in 4 main beach areas and Kauh, the town centre. They all had something to offer and the right choice for you will depend on the type of holiday you are looking for. 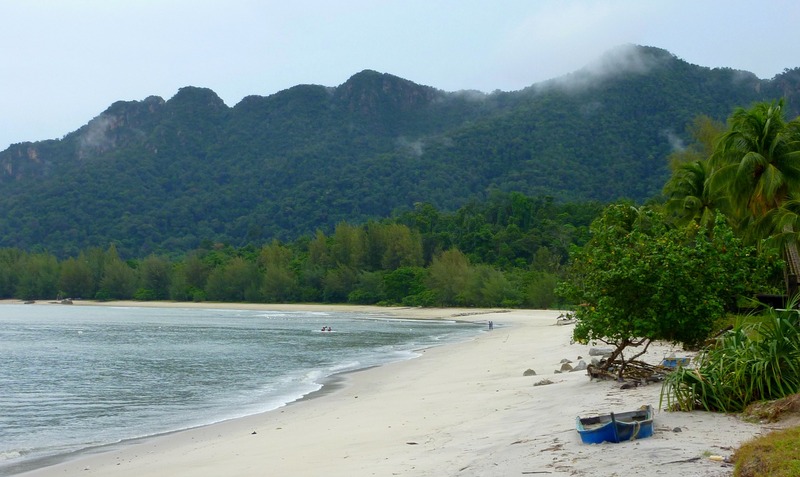 Is Tengah Beach a good choice for you? Cenang is the life of the party and the best place to stay if you want to be in walking distance of everything. We avoided staying here this time because there were so many reviews on TripAdvisor putting it down but we found ourselves spending lots of time there. 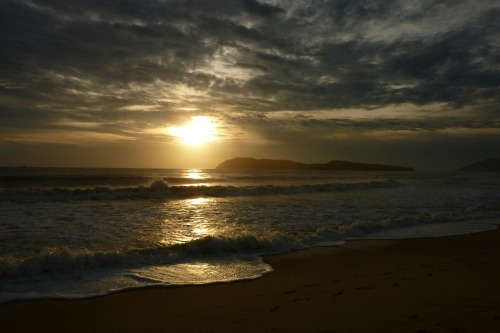 Watching the sunsets from one of the beach bars is a brilliant way to end the day. 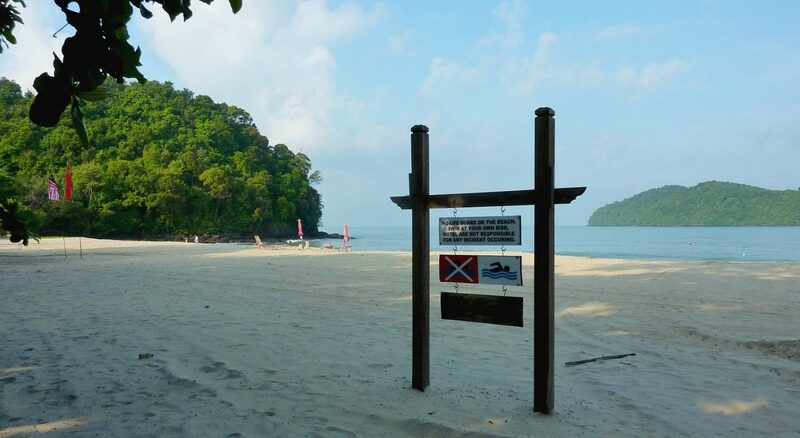 Is Cenang Beach a good choice for you? Cons: The area can be a bit of a building zone. Not a good choice for quiet super romantic holidays. Not very resorty so if you are looking for a secluded beach holiday move on. Check building works in the area before you make a booking at any hotel in Cenang as there is quite a bit of development happening. A walk through the Google map is a good place to start, the current street view is from 2017 so not too old to give you an idea of the feel of the area.. The standard of accommodation on offer ranges from 1-star local guesthouses to new 5-star private villa resorts. At the bottom end of that range is the Malibest Resort (previously called the Malibest Tree Top chalets). This is a very basic but cute waterfront option. If you are travelling on a tight budget and don't expect a fancy resort you will be happy here. Great views, good air conditioning, be sure to book at waterfront room, nothing else. There is no breakfast here but there are plenty of choices nearby. Check the photos on TripAdvisor and see what you think. My next top choice is the waterfront Meritus Pelangi Beach Resort. 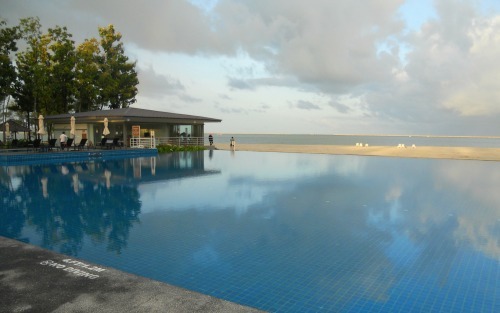 This is a large property of 330 plus rooms set on 35 acres of landscaped gardens near the point at Cenang beach. The rooms are large and nicely furnished in local style. The resort has great facilities including a huge pool which is vital for us because we are among those a bit scared of the jellyfish that appear on these beaches during some seasons. Prices here are closer to $330 per night in high season. There is also a ton of sporting activities like squash, tennis, archery, mini golf, and bicycle rental making the resort really popular with families. 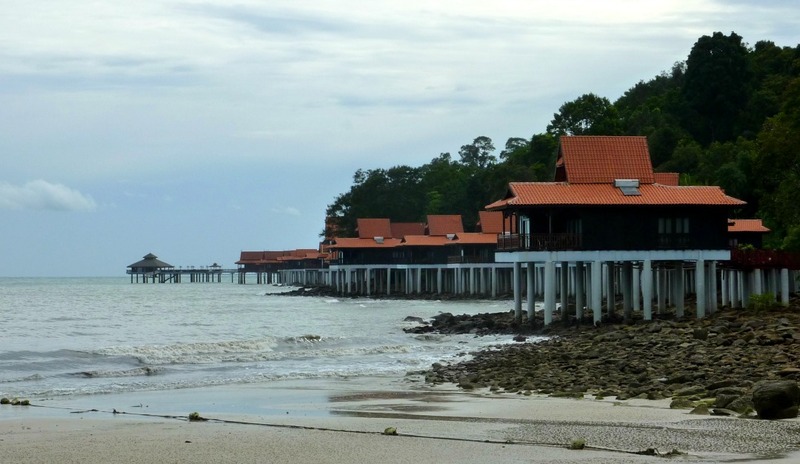 Our favourite Hotels in Cenang is Casa del Mar which is a waterfront property featuring lovely rooms and friendly service. This is a complete contrast to Meritus Pelangi with only 35 rooms and one pool however for us that is a plus because we enjoy more intimate surroundings. The hotel is also a bit closer to the bars and restaurants so a shorter walk home with a full belly at the end of the night. The food here is great - I am not sure I have ever seen so many homemade jams offered at breakfast - and the all the fruit is fantastic. The staff are also top notch. Casa del Mar used to have a no kids under 12 years policy that we appreciated however I have heard this may no longer be in place. I hope we get to visit again soon. Quieter and a little cleaner than it's neighbour. The slightly more sophisticated cousin of Cenang, this would be the beach I would choose if I wanted a quieter stay with the option of activities close by. It’s a little further along the main road but close enough to walk back to the action at the main beach only 20 minutes away on foot. The beach itself is super clean and a lot quieter than its neighbour. We did not notice any noisy water sports operators here but we do visit at the end of the season when things have quietened down so check this if it is important for you. The beach sometimes has a strong rip so if you are not a very good swimmer do not get out of your depth. 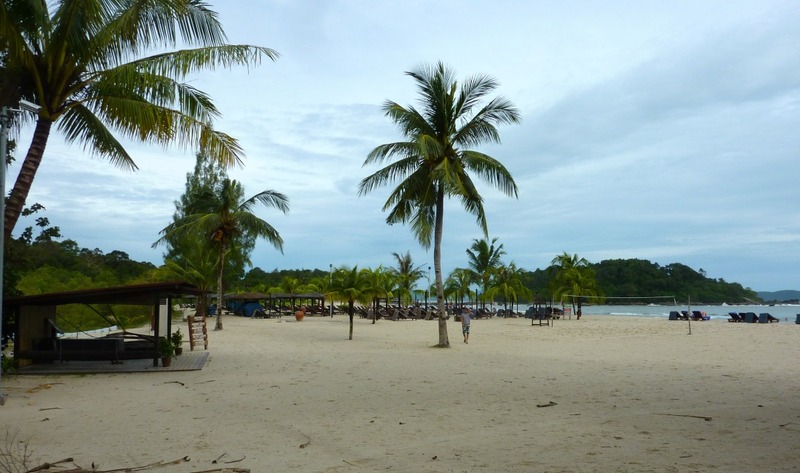 Let's consider the pros and cons of staying at Pantai Tengah (Middle Beach). Pros: 700 m long clean sandy beach with plenty of shade. Good range of accommodation options, lots of cafes and restaurants in walking distance, beautiful quiet beach. Cons: Bit further to walk to town, I can't think of any others! These two properties sit side by side and you can use the facilities in either if you stay. Federal Villa is the smaller and cheaper of the two for reasons that will be obvious when you check out the photos of the rooms. The 88 guest rooms are dated and a bit run down but still adequate and good value for anyone on a tight budget. I have to be honest, I would not stay here unless it was the best I could afford. Holiday Villa has good bones. It's much larger at 258 rooms and has 4 stars over Federal Villa's 3 stars. Check out the reviews here. Another beach front property the Frangipani is a 3 star eco-friendly hotel which boasts zero plastic waste in the resort. They take their environmental efforts very seriously and are the most environmentally conscious hotel on the island. With its fabulous infinity pool this property offers good value for money. They also have an adults pool which is much appreciated by those us without little darlings in tow. The 117 rooms are not amazing but they are large and clean and facilities are good. Check recent reviews and guests photos to see if it will suit you. If you want private and stylish accommodation it's hard to go past Ambong Ambong our pick at Tengah beach. Its offers secluded self contained accommodation and lovely pool surrounded by lush rain forest only 5 minutes walk from the beach. The rooms have kitchen areas so you can prepare some meals yourself if you don't fancy eating out every night. While it is close to the beach the walk is pretty steep and there are lots of stairs so this is not a great choice for anyone with any mobility issues. They also don't allow children under 12 years of age. Take a look at the photos and reviews. If you stay here I would recommend renting a car from the airport on arrival as we did. 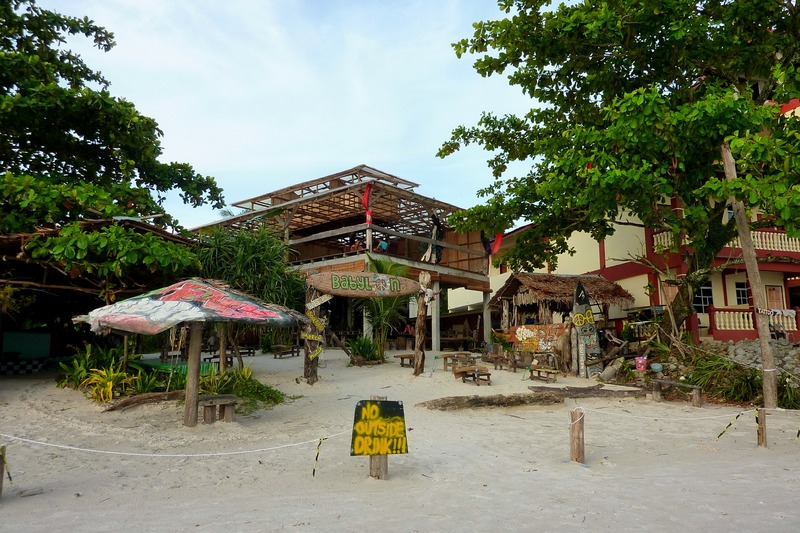 Kok is a quieter area within 10-15 mins drive from the action of the main beaches and close to the airport. We stayed right by this beach, and it was a good compromise. It was also close to the airport which was good for our late night arrival. We chose what was the Four Points Sheraton, just a few minutes walk from this photo because of its fantastic pool. At that time the rooms were new and quite reasonable, but the food and service were mediocre. The hotel has been re-branded as Century Langkasuka Resort and sadly seems went downhill since our stay. It's such a shame because it has the potential to be fantastic with the location being only ten mins drive to Cenang and five mins to the airport but apparently, service is lacking and the food options not so good. Perhaps consider if the price is right. I loved being in that infinity pool so much I would possibly return. Check our recent reviews because they have new management and may have lifted their game. Located near the Oriental Village at Burau Bay the Berjaya gets a lot of positive, even glowing reviews online so they must be doing something right and we seriously considered staying here, but I was not convinced that the location was the best for me. I decided not to book it for this visit but to go along and check it out as a possible spot for next time. When we got there, it was low tide and pretty overcast so nothing like the postcard images on the website, however, the resort itself was very well kept and the pool and restaurant areas looked good. It seemed very popular with families with plenty of kids around. The facilities looked in excellent condition, and the rooms looked nice. They offer a shuttle bus to various nearby locations, so you don’t have to rent a car if you prefer not to. Ultimately though for us it was a little too far away from everything and staying here would have limited our ability to explore. If you are after a self-contained resort, this just might suit. Take a look at the reviews and photos and decide for yourself. The Ritz Carlton with its rain forest villas and bottomless champagne breakfasts. The St Regis has a stunning beachfront location, large well furnished rooms and excellent service. What type of beach holiday do you like? Are you all about the action sports or do you just like to chill? 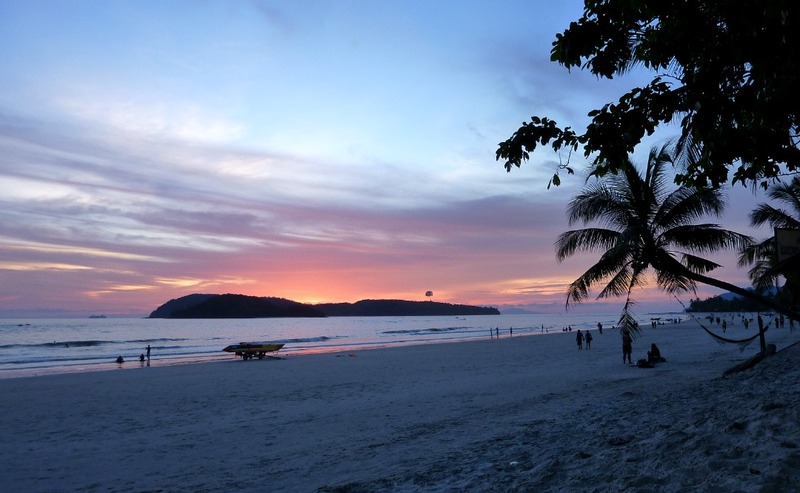 If you have already been to Langkawi we would love to hear about your favourite place to stay. Do you need to rent a car when you visit Penang?